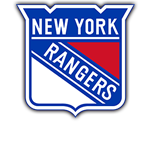 PORTLAND, ME – December 3, 2018 – As part of several roster moves announced on Monday morning, the New York Rangers reassigned defenseman Vince Pedrie from the Mariners to the Hartford Wolf Pack. Pedrie had joined the Mariners on November 23rd, and played in all five games in the span between then and now, registering four points. The 24-year-old blue-liner from Rochester, Minnesota played 58 games for the Wolf Pack in 2017-18 after signing an entry-level deal with the Rangers. He has suited up in five games for Hartford this season, with one assist. In his Mariners debut on November 24th, he scored the game-winning goal in a 6-4 comeback win against Manchester at home. He also had an assist in the game. Pedrie added an empty net goal in the Mariners’ next game on Wednesday, November 28th vs. Reading and an assist at Manchester this past Saturday. Pedrie played his college hockey at Penn State University, where he earned All B1G Rookie, All-Tournament, and First All-Star Team honors in his career. He was a part of the 2016-17 Nittany Lions B1G Champion team. The Mariners are on the road this Wednesday night in Glens Falls to take on the Adirondack Thunder at 7:00 PM. They return home for a pair of weekend games against Adirondack on Friday at 7:15 PM and Worcester on Sunday afternoon at 3:05 PM. Tickets can be purchased online at MarinersOfMaine.com or over the phone through the Trusted Choice Box Office at 207-775-3458.